On October 4, 2014, about 0155 central daylight time, N335AE, a Bell 206L1+ helicopter, was destroyed by post-impact fire after it impacted terrain while on approach to the United Regional Hospital helipad, in Wichita Falls, Texas. The commercial pilot was seriously injured and the flight nurse, paramedic, and patient died. The helicopter was registered to and operated by Air Evac EMS, Inc, O'Fallon, Missouri. A company visual flight rules flight plan was filed for the patient transfer flight that departed Jackson County Hospital, near Waurika, Oklahoma, about 0133. Visual meteorological conditions prevailed for the air medical flight conducted under the provisions of 14 Code of Federal Regulations Part 135. A witness, who was a photojournalist for NBC News 3 in Wichita Falls, TX, was driving southbound on the central freeway and was passing over Maurine Street when he first saw the helicopter. He said it appeared to be flying toward the "north" and its spotlight was turned on. As the witness continued to drive south toward downtown Wichita Falls, he realized the helicopter was hovering over 10th and Grace Streets and he thought it was odd that the helicopter had not landed yet and maybe he was waiting for someone to clear off the helipad. The witness said the helicopter was hovering at a height that was equal to the height of the top of the hospital, about 100-120 feet. The witness said that when he reached 9th Street, he saw the helicopter begin to spin to the right and move from its position over 10th and Grace Streets south toward the helipad. He said the helicopter entered the spin slowly and began to descend as soon as it started to spin. Initially, the witness thought the helicopter was going to land, but it continued to spin and descend. The helicopter then disappeared from his view behind a building. Shortly after it disappeared from his view, the witness saw sparks. He called 911 and drove the scene. Once he arrived on-scene the police and first responders were already there. According to the pilot, he and his Duncan, Oklahoma, based medical crew had just returned from a flight to Oklahoma City, Oklahoma, when he received a call from company dispatch to pick-up a patient in Waurika and transport him to United Regional Hospital in Wichita Falls. The pilot accepted the flight, but told dispatch that they needed 15 minutes on the ground to prepare for the flight since they had just landed. The pilot stated that he, along with the paramedic and flight nurse, re-boarded the helicopter, performed the necessary checklists, called dispatch and filed a flight plan. The flight to Waurika was uneventful. After landing, the pilot stayed in the helicopter for about 20 minutes with the engine running while the patient was prepped and loaded. The pilot and medical crew then departed for Wichita Falls. The weather was clear and the wind was three knots or less. The pilot said he used night-vision-goggles (NVGs) while en route, but flipped them up as he approached the hospital due to intense ground lighting. Upon arriving in Wichita Falls, the pilot said he performed a "high recon" of United Regional Hospital's helipad and called out his intentions to land. He performed the pre-landing checklists, and started the approach to the helipad from the northwest at an altitude of 700 feet above ground level (agl). Both of the hospital's lighted windsocks were "limp" but were positioned so they were pointing toward the northwest. The pilot, who said he had landed at this helipad on numerous occasions, said the approach was normal until he got closer to the helipad. He said he felt fast "about 12-15 knots" and a "little high," so he decided to abort the approach. At this point, with about ¼ to ½ -inch of left anti-torque pedal applied, he added power, "tipped the nose over to get airspeed," and "pulled collective." The pilot said that as soon as he brought the collective up, the helicopter entered a rapid right spin. He described the spin as "violent" and that it was the fastest he had ever "spun" in a helicopter. The pilot told the crew to hold on and that he was "going to try and fly out of it." The pilot said he tried hard to get control of the helicopter by applying cyclic and initially "some" left anti-torque pedal "but nothing happened." The pilot said he added more left anti-torque pedal, but not full left anti-torque pedal as the helicopter continued to spin and he was still unable to regain control. He also said the engine had plenty of power and was operating fine. The pilot recalled the helicopter spinning at least five times before impacting the ground inverted. He said smoke quickly filled the inside of the helicopter, so he unbuckled his seatbelt assembly, took off his helmet, punched out the windshield and exited the burning helicopter. The pilot also said that he did not hear any unusual noises prior to the "tail coming out from underneath them" and he did not recall hearing any warning horns or seeing any warning/caution lights. When asked what he thought caused the helicopter to spin to the right so quickly, he replied, "I don't know." The helicopter was equipped with a handheld Garmin GPS 396 and Sky Trac ISAT-100 flight-tracking software. The SkyTrac system recorded position every 5 seconds versus the GPS that recorded position every 60 seconds. Data was successfully downloaded from each unit. The data between the two units was fairly consistent and revealed that after the helicopter departed Waurika, it flew on a south-westerly heading until it crossed Highway 447 in Wichita Falls. It then flew on a westerly heading until it reached Highway 287, where it then turned on a north westerly heading. As it proceeded to the northwest, the helicopter flew past United Regional Hospital to the east before it made a left, 180 degree turn about 1 to 1.5 miles north of the hospital. The helicopter then proceeded directly to the helipad on a south-easterly heading. A review of the last 43 seconds of the recorded Sky Trac data revealed that as the helicopter approached the helipad, it descended from an altitude of 202 feet to 152 feet and decelerated from a ground-speed of about 9 knots to about 5 knots before it turned to the right. Over the next 10 seconds, the helicopter traveled back toward the northwest as it descended to an altitude of 54 feet and increased to a ground-speed of about 17 knots before the data ended at 0155:14. The location of the last recorded data point was consistent with where the helicopter impacted the ground. A portion of the accident flight and impact were captured on one of the hospital's surveillance cameras. A review of the surveillance tape revealed the helicopter approached the helipad from the north with the spotlight turned on (the pilot said that he used the spotlight during the approach). The helicopter then climbed and went out of frame before it reappeared in a descending right hand turn then hit the ground. The time of impact was recorded at 0154:56. About 6 seconds later, there was a large explosion. Another Air Evac flight crew (pilot, paramedic, and a flight nurse) was based at United Regional Hospital, and were in their quarters near the helipad when the hospital-based pilot heard the helicopter. The crew was preparing to assist the inbound crew with the patient transfer. The hospital-based pilot stated that when he opened the door to their quarters, he heard the helicopter arriving from the north. As the helicopter got closer, he heard "a change in rotor noise" followed by the sound of a "snap then bang then silence." The hospital-based pilot yelled to his crew that the helicopter may have crashed. All three immediately responded to the accident site where they found the helicopter upside down, facing west, and on-fire. The hospital-based pilot said the flight nurse, who was seated in the rear right seat, was lying about 6-feet away from the helicopter. She was on fire and most of her Nomex flight suit had burned away. The hospital-based pilot also saw the paramedic, who was seated in the rear, left seat, crawling out of the wreckage and the pilot was crawling out of the front of the wreckage. Due to the intense fire, there was no way to assist the patient. The hospital-based paramedic stated that he was asleep when he was alerted of the inbound flight. He heard the helicopter approaching "then nothing." The lights in their crew-quarters then flickered for about 10 seconds. The hospital-based pilot then came in and said the helicopter had crashed. The hospital-based paramedic said that when he got to the accident site, the flight nurse was lying on her back on the sidewalk. The paramedic was on fire and about 10 feet away from the helicopter in the street. A bystander was using his shirt to put out the flames on the paramedic. The hospital-based paramedic then ran over to the injured paramedic. He said the paramedic was alert and was aware that he was involved in an accident. The hospital-based paramedic said he picked the injured paramedic up, placed him on a gurney and took him to the emergency room. He did not talk to the flight nurse or pilot. The hospital-based flight nurse stated he was in bed, but had not fallen asleep. He heard the hospital-based pilot say that a company helicopter was inbound and he could hear it approaching the helipad. The flight nurse said he was putting on his jumpsuit when he heard the helicopter "power-up" followed by silence then the sound of a "crash." He and the two others immediately responded to the accident site. When the hospital-based flight nurse arrived on scene, he saw the flight nurse and thought she was deceased until she started screaming for help. The pilot was crawling through the front windshield and his foot was stuck. There was a "winding noise" coming from the helicopter so he helped him get out and away from the burning helicopter. He asked the pilot if he was ok, and he responded, "I don't know." The hospital-based flight nurse then saw the hospital-based paramedic dragging the injured paramedic away from the helicopter. He immediately realized the injured paramedic was a good friend and his flight partner. The hospital based flight nurse immediately went over to him and found the injured paramedic was alert. The injured paramedic said they were on final approach to the helipad when the helicopter started to spin, but he wasn't sure why. The hospital-based flight nurse later asked the pilot what happened, and the pilot said "he wasn't sure." When he told the pilot that the paramedic said that the helicopter had spun, the pilot responded, "yeah." The patient died in the accident but the flight nurse and the paramedic survived and were treated for severe burns. However, they both succumbed to their injuries within a month after the accident. The pilot held a commercial pilot certificate for rotorcraft-helicopter, and instrument rotorcraft-helicopter. The operator reported his total flight time as 1,810 hours. About 1,584 of those hours were in helicopters, of which, 214 hours were in the Bell 206 series helicopter. His last Federal Aviation Administration (FAA) second class medical was issued on May 13, 2014, without limitations or waivers. The pilot was also a chief warrant officer with the United States Army. He attended Army flight school and was trained in the CH47D Chinook helicopters. According to time-on-duty records provided by the operator, the pilot came on duty October 2, 2014, at 1810. This was the start of his first shift after having the previous 6 days off. He had only made one flight prior to the accident flight. The pilot was hired by the operator on June 9, 2014. At that time, he reported a total of 1,755.6 total hours, of which, 159.1 hours were in the Bell 206 model helicopter. A review of his training records revealed he started initial/new-hire training on June 10, 2014, and satisfactorily completed ground school and 10.9 hours of flight training. The training included normal and emergency procedures, including loss of tail rotor effectiveness. On June 22, 2014, the pilot passed a flight crew-member competency/proficiency check- Federal Aviation Regulation (FAR) Part 135/NVG check ride. The pilot also completed "Initial Orientation-Flight" training at his assigned base in Duncan, Oklahoma. The training involved 5 flight hours and included cross country flights to the local area hospitals and landmarks; 2 hours of night flying for the same purpose; day and night approaches to hospital and elevated helipads; familiarization with all hazards, terrain and man-made, identified on the Duncan, Oklahoma base hazard map. This training was completed on July 8, 2014. Weather at Sheppard Air Force Base/Wichita Falls Municipal Airport (SPS), about 5 miles north of the accident site, at 0152, was wind from 140 degrees at 3 knots, visibility 10 miles, clear skies, temperature 51 degrees F, dewpoint 33 degrees F, and a barometric pressure setting of 30.24 in HG. The United Regional Hospital's ground-level helipad was located directly across the street from the hospital's emergency room entrance. The final approach/take-off area (FATO) was 60-foot-wide by 60-foot-long and was privately owned and operated by United Regional Health Care System. At the time of the accident, the hospital based flight crew's helicopter was in the hangar and the helipad was clear of obstacles. The single-engine, seven-place helicopter was manufactured in 1981 and equipped with a Rolls-Royce C-250-30P turbo shaft engine. It was configured for air medical transport; one pilot, two medical crew, and one patient. The operator reported that at the time of the accident, the airframe had about 18,378.6 hours total time and the engine had about 3,546.2 hours total time. The helicopter was retrofitted with Van Horn Aviation (VHA) after-market composite tail rotor blades (Supplemental Type Certificate No. SR02249LA). According to VHA's website, this install helps reduce overall aircraft noise and produce more tail rotor authority. The estimated gross weight of the helicopter at the time of the accident was 4,274 pounds, or about 176 pounds below the maximum gross weight of 4,450 pounds. An on-scene examination of the helicopter was conducted on October 4-5, 2014, under the supervision of the National Transportation Safety Board Investigator-in-Charge (NTSB IIC). The helicopter collided with power lines and came to rest inverted between two trees that lined a public sidewalk about one block northwest of the helipad. All major components of the helicopter were located at the main impact site. Small sections of the helicopter were found strewn within 100 feet of where the main wreckage came to rest. The helicopter was recovered and taken to a salvage facility where a layout examination was conducted on October 6, 2014. The above mentioned party members were in attendance for both the on-scene and salvage yard exams. The helicopter wreckage was extensively burned and fragmented into large and small sections. These sections were laid out in a manner that was consistent with how they would have been situated prior to the accident. The tail rotor and portion of the empennage sustained the least amount of impact and fire damage. The tailboom had separated from the main body of the helicopter just aft of where it attached to the fuselage. Both tail rotor blades exhibited minor leading edge damage and there was some de-bonding on the trailing edge. The pitch control tube to the gearbox to the 90-degree bend and forward to where the tail boom had separated from the fuselage was intact. The tail rotor gearbox magnetic plug was clean and there was no fluid observed the tail rotor gearbox sight-glass. The right horizontal fin remained attached to the tailboom and exhibited some thermal damage. The left horizontal fin was folded under and burned. The tail rotor driveshaft was relatively intact, but damage was noted to the Thomas couplings, which were splayed, and the hangar bearing between #1 and #2 was out of alignment. The aft short-shaft was separated and exhibited thermal damage. The forward end of the short shaft was burned. The shaft did not rotate due to thermal damage. The oil cooler blower housing had mostly melted away. The front end of the oil cooler blower shaft and spines were intact. The forward short-shaft was attached to the aft end of the freewheeling unit located in the engine accessory gear box. But the aft end that attached to the forward end of the oil cooler blower shaft was separated. The splines were intact. The freewheeling (FW) unit rotated, but did not turn due to thermal damage. The flex frames on both ends of the main drive shaft were fractured. There was no twist in the shaft. The engine to transmission adapter on the aft of the transmission was rotated and continuity was established to the main rotor system. Control tubes were fractured and thermally damaged, but continuity was established for the throttle control and collective to the broom closet. Continuity for the cyclic was also established, but the cyclic control had fractured and was found in the wreckage. The left anti-torque pedals (co-pilot side) dual control pedal assembly was installed, but the linkage had been disconnected and the pedals were locked by the operator to prevent someone from inadvertently depressing the pedals. Continuity was established for the right anti-torque pedals. An impact mark was observed on a section of the anti-torque pedal assembly where it ran through a lightning hole in the lower fuselage. A measurement from the center of the bolt that secures this tube to the location of the impact mark was taken. Then, the measurement was used to determine the position of the pedal at the time of impact by lining the mark up with an exemplar helicopter. The measurement revealed the right pedal was displaced about 50-75% at the time of impact. The rotating and non-rotating sections of the swash plate were fractured and burned, and the control links were fractured and thermally damaged. Extensive thermal damage was noted to the transmission. Both of the main rotor blades exhibited impact and fire damage. Blade #1 had fractured outside of the doublers. About 6 feet of the outboard blade exhibited impact damage and about 24-inches of the blade tip had separated and was not burned. A section of the blade tip exhibited impact and striations marks consistent with it striking a cable. Blade #2 was also fractured at the doublers. The after-body was missing due to fire. The tip of the blade was partially attached with a small unburned section being completely separated. Though the helicopter sustained extensive thermal damage, continuity for all the main flight control systems was established and no pre-mishap mechanical anomalies were observed that would have precluded normal operation prior to the accident. It was also observed that the two main fuel lines that transfer fuel from the forward fuel tanks to the main tanks were separated at their rear fittings just aft of the broom closet. According to the FAA and Bell, there are no break-away fittings or mechanism (sensor) that would have sensed a separation and stopped fuel flow after the accident if power was applied. If the engine continued to run after the accident, raw fuel would have continued to be pumped into the aft cabin area from the forward tanks. Fuel may have also drained from vent lines due to the helicopter being inverted. The engine sustained extensive thermal damage. The engine was separated into sections and no pre-mishap anomalies were noted that would have precluded normal operation prior to the accident. The annunciator panel was examined by the NTSB Materials Laboratory for the presence of any stretched light bulb filaments. Each annunciator light was x-rayed to determine the status of the two bulbs inside. While there was some evidence of age-related sagging, no stretched filaments were found in any of the annunciator lights. 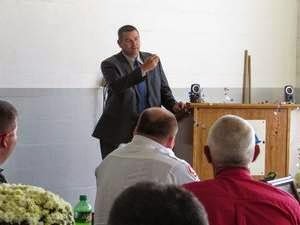 A toxicological examination was conducted on "first-draw" blood specimens taken from the pilot when he was admitted to United Regional hospital's emergency room after the accident. These specimens were subpoenaed by the NTSB and shipped to the FAA's Accident Investigation Laboratory, Oklahoma City, Oklahoma. The results of the testing were negative for all items tested. The FAA issued Advisory Circular (AC) 90-95, Unanticipated Right Yaw in Helicopters, in February 1995. The AC stated that the loss of tail rotor effectiveness (LTE) was a critical, low-speed aerodynamic flight characteristic which could result in an uncommanded rapid yaw rate which does not subside of its own accord and, if not corrected, could result in the loss of aircraft control. It also stated, "LTE is not related to a maintenance malfunction and may occur in varying degrees in all single main rotor helicopters at airspeeds less than 30 knots." "OTHER FACTORS...Low Indicated Airspeed. At airspeeds below translational lift, the tail rotor is required to produce nearly 100 percent of the directional control. If the required amount of tail rotor thrust is not available for any reason, the aircraft will yaw to the right." According to the FAA Rotorcraft Flying handbook (FAA-H-8083-21A), "Loss of tail rotor effectiveness (LTE) or an unanticipated yaw is defined as an uncommanded, rapid yaw towards the advancing blade which does not subside of its own accord. It can result in the loss of the aircraft if left unchecked. It is very important for pilots to understand that LTE is caused by an aerodynamic interaction between the main rotor and tail rotor and not caused from a mechanical failure. Some helicopter types are more likely to encounter LTE due to the normal certification thrust produced by having a tail rotor that, although meeting certification standards, is not always able to produce the additional thrust demanded by the pilot." "LTE is an aerodynamic condition and is the result of a control margin deficiency in the tail rotor. It can affect all single rotor helicopters that utilize a tail rotor of some design. The design of main and tail rotor blades and the tail boom assembly can affect the characteristics and susceptibility of LTE but will not nullify the phenomenon entirely." 1. Airflow and downdraft generated by the main rotor blades interfering with the airflow entering the tail rotor assembly. 2. Main blade vortices developed at the main blade tips entering the tail rotor. 3. Turbulence and other natural phenomena affecting the airflow surrounding the tail rotor. helicopter is in a low power condition. 5. A slow forward airspeed, typically at speeds where translational lift and translational thrust are in the process of change and airflow around the tail rotor will vary in direction and speed." "If a sudden unanticipated right yaw occurs, the following recovery technique should be performed. Apply forward cyclic control to increase speed. If altitude permits, reduce power. As recovery is affected, adjust controls for normal forward flight. A recovery path must always be planned, especially when terminating to an OGE hover and executed immediately if an uncommanded yaw is evident. Collective pitch reduction aids in arresting the yaw rate but may cause an excessive rate of descent. Any large, rapid increase in collective to prevent ground or obstacle contact may further increase the yaw rate and decrease rotor rpm. The decision to reduce collective must be based on the pilot's assessment of the altitude available for recovery. If the rotation cannot be stopped and ground contact is imminent, an autorotation may be the best course of action. Maintain full left pedal until the rotation stops, then adjust to maintain heading." On October 4, 2014, about 0155 central daylight time, N335AE, a Bell 206L1+, was destroyed by post-impact fire after it impacted terrain while on approach to the United Regional Hospital helipad, in Wichita Falls, Texas. The commercial pilot, flight nurse, and the paramedic were seriously injured and the patient was killed. The helicopter was registered to and operated by Air Evac EMS, Inc, O'Fallon, Missouri. A company visual flight rules flight plan was filed for the patient transfer flight that departed Jackson County Hospital, near Waurika, Oklahoma, about 0133. Visual meteorological conditions prevailed for the air medical flight conducted under the provisions of 14 Code of Federal Regulations Part 135. According to the pilot, he stated that he and his Duncan, Oklahoma, based medical crew had just returned from a flight to Oklahoma City, Oklahoma, when he received a call from company dispatch to pick-up a patient in Waurika and transport him to United Regional Hospital in Wichita Falls. The pilot accepted the flight, but told dispatch that they needed 15 minutes on the ground to prepare for the flight since they had just landed. The pilot said that he, along with the paramedic and flight nurse, re-boarded the helicopter, performed the necessary checklists, called dispatch and filed a flight plan. The flight to Waurika was uneventful. After landing, the pilot stayed in the helicopter for about 20 minutes with the engine running while the patient was prepped and loaded. The pilot and medical crew then departed for Wichita Falls. The weather was clear and the wind was three knots or less. Upon arriving in Wichita Falls, the pilot said he performed a "high recon" of United Regional Hospital's helipad and called out his intentions to land. He performed the pre-landing checklists, and started the approach to the helipad from the northwest at an altitude of 700 feet above ground level (agl). Both of the hospital's lighted windsocks were "limp" but were positioned so they were pointing toward the northwest. The pilot, who had landed at this helipad on numerous occasions, said the approach was normal until he got closer to the helipad. He said he felt fast "about 12-15 knots" and a "little high," so he decided to abort the approach. At this point, with about ¼ to ½ -inch of left anti-torque pedal applied, he added power, "tipped the nose over to get airspeed," and "pulled collective." The pilot said that as soon as he brought the collective up, the helicopter entered a rapid right turn. He described the turn as "violent" and that it was the fastest he had ever "spun" in a helicopter. The pilot told the crew to hold on and that he was "going to try and fly out of it." The pilot said he tried hard to get control of the helicopter by applying cyclic and initially "some" left anti-torque pedal "but nothing happened." The pilot said he added more, but not full left anti-torque pedal as the helicopter continued to spin and he was still unable to regain control. He also said the engine had plenty of power and was operating fine. The pilot recalled the helicopter spinning at least five times before impacting the ground. The pilot said the helicopter landed inverted and quickly filled up with smoke. 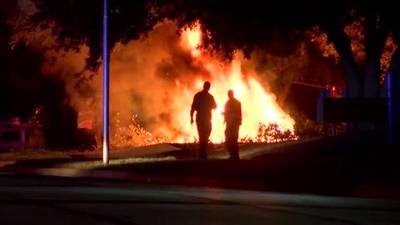 He unbuckled his seatbelt assembly, took off his helmet, punched out the windshield and exited the burning helicopter. The pilot also said that he did not hear any unusual noises prior to the "tail coming out from underneath them" and did not recall hearing any warning horns or seeing any warning/caution lights. When asked what he thought caused the helicopter to spin to the right so quickly, he replied, "I don't know." The helicopter was equipped with tracking software that recorded its position every 60 seconds. A preliminary review of the track data revealed that after the helicopter departed Waurika, it flew on a south westerly heading until it crossed Highway 447 in Wichita Falls. It then flew on a westerly heading until it reached Highway 287, where it then turned on a north westerly heading. As it flew to the northwest, the helicopter flew past United Regional Hospital to the east before it made a 180 degree turn about 1 to 1.5 miles north of the hospital. The helicopter then proceeded directly to the helipad on a south easterly heading before the data stopped at 0154, about .2 miles north west of the helipad. At that time, the helicopter was about 212 feet above ground level (agl), on a heading of 138 degrees at a ground speed of 11 knots. A portion of the accident flight and impact were captured on one of the hospital's surveillance cameras. A preliminary review of the surveillance tape revealed the helicopter approached the helipad from the north with the spotlight turned on (The pilot did state in his interview that he was using the spotlight during the approach). The helicopter then climbed and went out of frame before it reappeared in a descending right hand turn before it impacted the ground. The time of impact was recorded at 0154:56. About 6 seconds later, a large explosion occurred where the helicopter impacted the ground. An on-scene examination of the helicopter was conducted on October 4-5, 2014, under the supervision of the National Transportation Safety Board Investigator-in-Charge (NTSB IIC). The helicopter collided with power lines and came to rest inverted between two trees that lined a public sidewalk about one block northeast of the helipad. All major components of the helicopter were located at the main impact site. A post-impact fire consumed the main fuselage and portion of the tail boom. The tail rotor assembly and vertical fin exhibited minor fire and impact damage. The pilot held a commercial pilot certificate for rotorcraft-helicopter, and instrument rotorcraft-helicopter. His employer reported his total flight time as 1,810 hours. About 1,584 of those hours were in helicopters, of which, 214 hours were in the Bell 206 model helicopter. His last Federal Aviation Administration (FAA) second class medical was issued on May 13, 2014, without limitations or waivers. 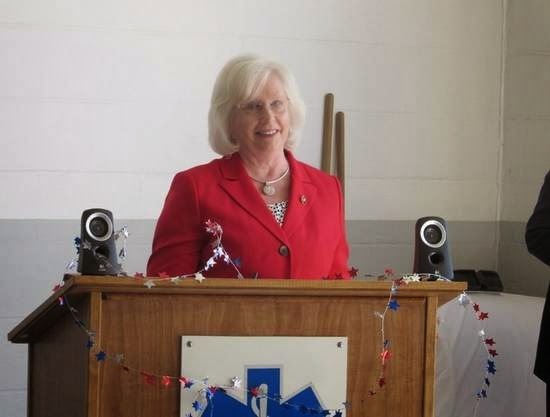 Air Evac Lifeteam officials reported on Wednesday evening that Flight Nurse Leslie Stewart has died from injuries she sustained in an accident on October 4, 2014. The two other crew members are still in the hospital recovering. 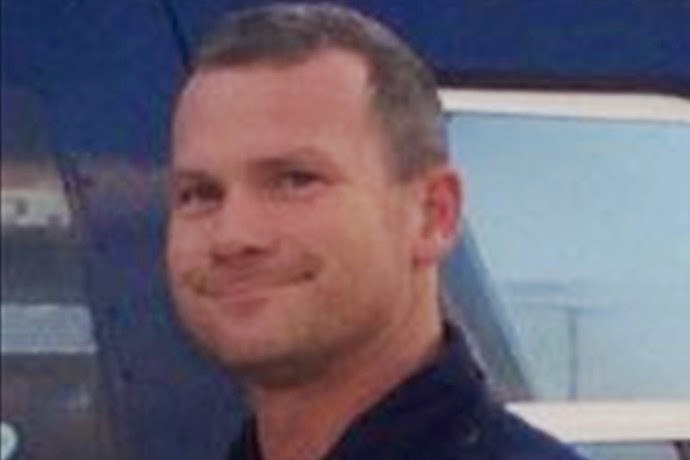 Flight paramedic Johan van der Colff IV is still listed in critical condition at Parkland Hospital in Dallas. Pilot Zechariah Smith is being treated at United Regional and his condition was upgraded to fair. The patient being transported in the helicopter to United Regional, 26-year-old Buddy Rhodes, died in the crash. UPDATE - The three Air Evac Lifeteam crew members who were injured in a helicopter crash in Wichita Falls on Saturday morning have been identified. 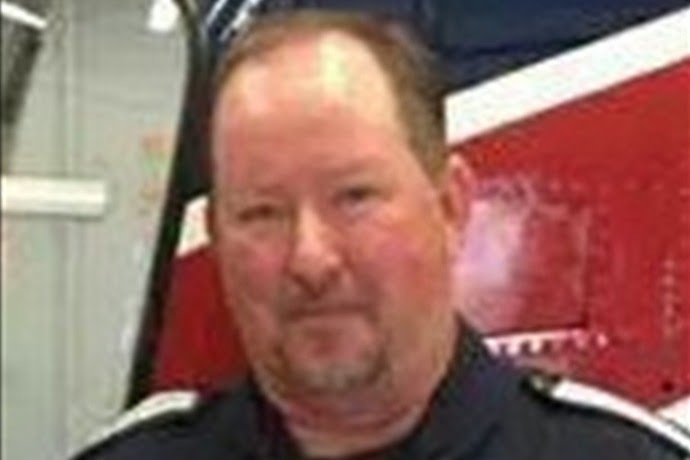 Air Evac Lifeteam officials confirm the Duncan, OK employees on board the helicopter were pilot Zechariah Smith, flight nurse Leslie Stewart, and flight paramedic Johan van der Colff IV. The cause of the accident is unknown. It's under investigation by Air Evac Lifeteam officials. Officials with the FAA and the National Transportation Safety Board are also in Wichita Falls investigating. Air Evac officials say the patient on board that helicopter passed away at the scene. Oklahoma State Bureau of Investigation officials say they believe that person was a Waurika shooting victim. OSBI Public Information Officer Jessica Brown says the Waurika Police Department requested OSBI Investigative and Crime Scene assistance after a shooting at a home in the 500 block of East D. Avenue around 11:30 p.m. Friday. Brown says the victim, who they have identified as 26-year-old Buddy Rhodes, was inside the home with several other people. She says a shotgun was involved, and at some point, the shotgun discharged striking Rhodes in the upper body. Brown says medical personnel in Waurika requested Air Evac, which arrived on scene and transported Rhodes to United Regional. Brown says investigators believe Rhodes was on the Air Evac helicopter when it crashed in Wichita Falls. The three Air Evac crew members survived the helicopter crash. All three suffered serious injuries. Wichita Falls Fire Chief Jon Reese says the Air Evac team in Wichita Falls were the first to arrive at the crash scene at 9th St. and Grace which happened just before 2 a.m. on Saturday. Reese says they were able to pull the pilot and the other two crew members from the wreckage. Authorities say the pilot is currently being treated at United Regional and is in critical condition. The other two crew members were flown to Parkland in Dallas for severe burns. Authorities say they are in critical condition. Multiple agencies including the Wichita County Sheriff's Office, Wichita Falls Police Department, Wichita Falls Fire Department, and Texas Department of Public Safety responded to the crash site. While the crash scene is blocked off, hospital officials say access to United Regional's main entrance, Bridwell Tower and the ER is open. We spoke with a witness who says she was driving a cab in the area when she saw the helicopter go down. Cari Winchester, who witnessed crash, says, "I was sitting in the parking lot of a convenience store when I heard the helicopter. It didn't seem like it sounds right then, because I hear them all the time around here. It sounded like it was bogged down. Then I heard it. It was bogged down and it was like struggling. It did it like three times, struggling. Then you heard a big, loud snap like of electricity and seen the flash." Power lines were also snapped in the crash and several people in the area may be without power. Oncor will work to restore power once they are allowed into the secured area. As far as the shooting in Waurika goes, Brown says OSBI agents and local investigators are working with the Jefferson County District Attorney's Office to determine how to proceed with the case. Brown says as of yet, investigators have not made an arrest in the shooting. The National Transportation Safety Board reports medical helicopters were involved in 132 accidents between 2001 and 2010. Those accidents claimed 45 lives. Additionally, the Federal Aviation Administration identified 7 air ambulance accidents from 2011 through 2013 that killed 19 people. The FAA reports 125 people were killed in medical helicopter accidents between 1991 and 2010. The FAA reports the 75 air ambulance companies in the U.S. operate 1,515 helicopters. The Association of Air Medical Services estimates roughly 400,000 patients are transported annually on medical helicopters in the U.S.
On Feb. 20, the FAA issued a "Final Rule" establishing stricter flight rules and procedures for medical helicopters. The rule also called for improved communications, training and onboard safety equipment. "Within 60 days, all operators will be required to use enhanced procedures for flying in challenging weather, at night, and when landing in remote locations. Within three years, helicopter air ambulances must use the latest onboard technology and equipment to avoid terrain and obstacles, and within four years, they must be equipped with flight data monitoring systems," the FAA ordered. The three Air Evac Lifeteam crew members who were injured in a helicopter crash in Wichita Falls on Saturday morning have been identified. Air Evac Lifeteam officials confirm the Duncan, OK employees on board the helicopter were pilot Zechariah Smith, flight nurse Leslie Stewart, and flight paramedic Erasmus J. Vandercolff IV. UPDATE - Oklahoma State Bureau of Investigation officials say they believe a Waurika shooting victim was on the Air Evac helicopter when it crashed in Wichita Falls early Saturday morning. OSBI Public Information Officer Jessica Brown says the Waurika Police Department requested OSBI investigative and crime scene assistance after a shooting at a home in the 500 block of East D Avenue around 11:30 p.m. on Friday. She says a shotgun was involved and at some point, the shotgun discharged striking Rhodes in the upper body. Brown says medical personnel in Waurika requested Air Evac which arrived on scene and transported Rhodes to United Regional. She says the have identified the shooting victim as Rhodes but the identity of the victim who died in the crashed has not been confirmed by Texas authorities. Three Air Evac crew members survived the helicopter crash suffering serious injuries while a patient being transported to United Regional died in the crash. However, he says the patient who was being transported from a hospital in Waurika. DPS has secured the scene for the FAA and NTSB investigators are headed to the crash scene to begin their investigation. Brown says OSBI agents and Waurika investigators are working with the Jefferson County District Attorney's Office to determine how to proceed with the case. Brown says as of yet, investigators have not made an arrest for the shooting. Air Evac Lifeteam celebrated its 10 year anniversary in Lafayette with a luncheon and reception on Wednesday, October 1. All members and local health care providers were invited to attend. Many local leaders were on hand to commend the partnership the community has with Air Evac Lifeteam. Senior Program Director Tim Booher opened the ceremonies and introduced each speaker. 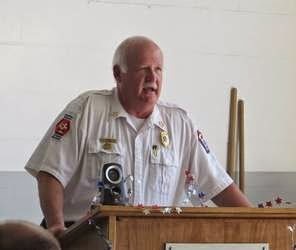 County Mayor Steve Jones addressed the crowd, as well as EMS director Randall Kirby. 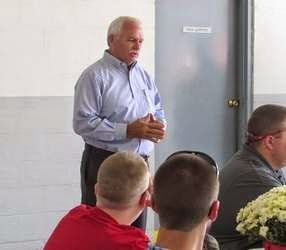 Air Evac Lifeteam Senior Director of Base Operations Joe Grygiel spoke as well and commended the team at Lafayette. 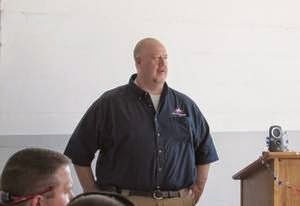 “It’s really up to the local crews to form relationships with local EMTs and hospitals, ” Grygiel said. He said that in 10 years there have been 7,600 requests for help and 2,600 actual flights. The Lafayette base has received several awards in its 10 years, as well. Among them was 2009-10 Region 2 Base of the Year, among 25 bases. Flight Member Franklin Copeland won the 2014 Flight Paramedic of the Year for Region 2. 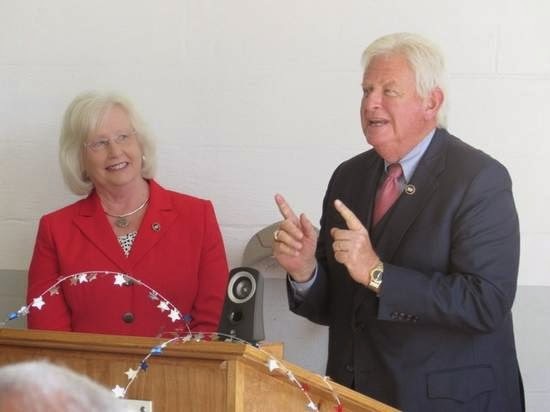 State Senator Mae Beavers and State Representative Kelly Keisling both attended and presented proclamations to the Air Evac base. 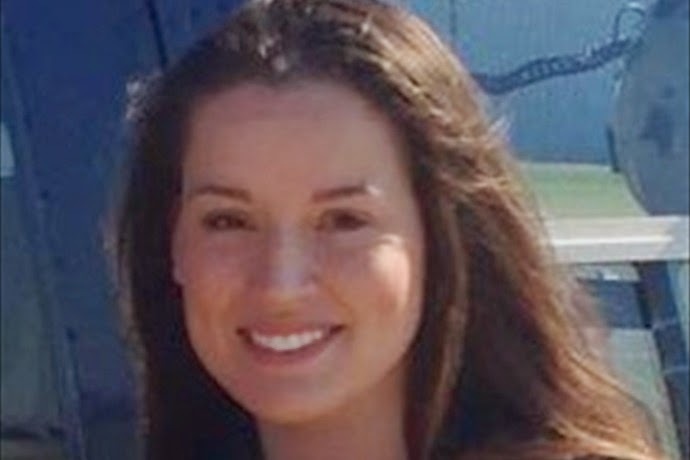 When asked what was rewarding about her job, flight nurse and paramedic Charity Douglas said, “Everything.” She noted that time is always a factor when handling patients, but in Air Evac, patients need specialized critical care. Air Evac Lifeteam was established by a group of local citizens in West Plains, in the Missouri Ozark region to provide air medical transportation and ensure access to emergency health care for their remote community. Although air ambulances were primarily based in metropolitan areas at the time, the company founders believed that the people who needed air medical transport the most were those living in rural areas, often far away from a hospital. That was in 1985. Today, Air Evac Lifeteam operates more than 100 bases across 15 states and has grown to be the largest independently owned and operated membership-supported air ambulance service in the United States. The entire team of Air Evac in Lafayette. Tim Booher, Air Evac Senior Program Director opens the reception with a few words. 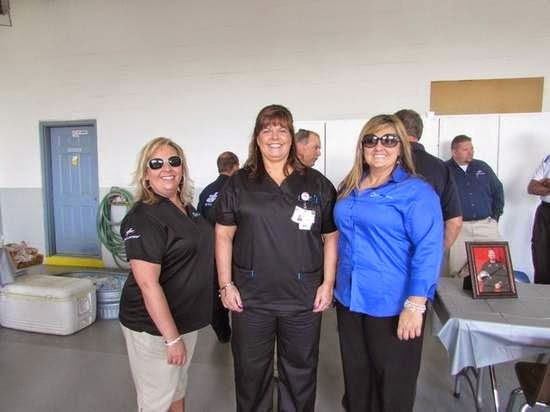 Enjoying the open house for Air Evac Lifeteam (L to R) was Renea Welch, Latise Jones and Debona Wright. Senator Mae Beavers speaks and issues a proclamation for Air Evac. EMS director Randall Kirby says a few words. Senator Mae Beavers (left) listens as Representative Kelly Keisling (right) also issues a proclamation for Air Evac. Senior Director of Base Operations, Joe Grygiel, commends the staff of the Air Evac Lifeteam in Lafayette. County Mayor Steve Jones recalls his role in getting Air Evac to Lafayette. 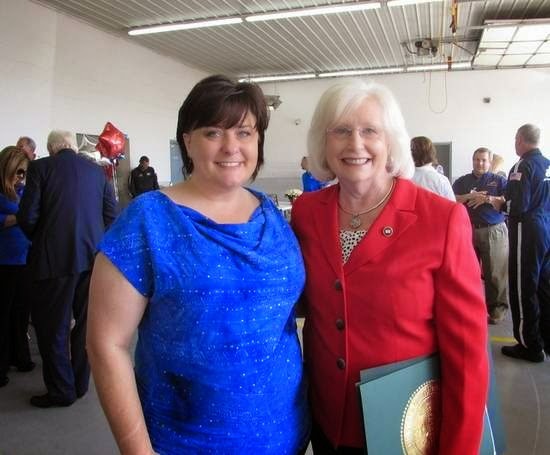 Chamber of Commerce's Lori Jones (left) and Senator Mae Beavers (right) pose during the Air Evac Lifeteam's 10 year anniversary open house.